Wainui School welcomes International Students to our friendly, high achieving school. Enrolments for 2017 are still open and 2018 are open now. 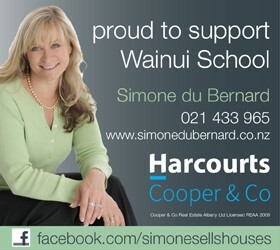 Wainui School is a signatory to the Code of Practice for the Pastoral Care of International Students (hereinafter called the Code) – http://www.minedu.govt.nz/goto/international. Please read these documents before the interview, so that any queries may be discussed. Students are accepted on a per term or annual basis only. It is understood that all children will participate fully in all aspects of Wainui School life. Tuition fees are listed clearly in our prospectus and also welcome for discussion with our Executive Officer email, exo@wainui.school.nz. Additional costs are in alignment with other schools in the Auckland (specifically Hibiscus Coast) area, and cover such things as Outdoor Education and Matific and online maths learning support programme. Extra-curricular activities (voluntary) include music lessons and sports. Music lessons can be arranged through the school. We have three teachers, covering piano, keyboard,guitar, vocals and drums. For after school sports, students are given guidance and support in joining sports clubs locally and region wide.